Gentle climb with generous views over Arthurs Pass and the Waimakariri River. The track visits an historic musterers' hut framed with beech saplings. Bealey Spur Hut • By sammanson. Licence: C.
While this track starts at the end of Cloudesley Road, there is no parking here. Park by the highway and take 10 minutes to walk up the road. A toilet is located at the track start. 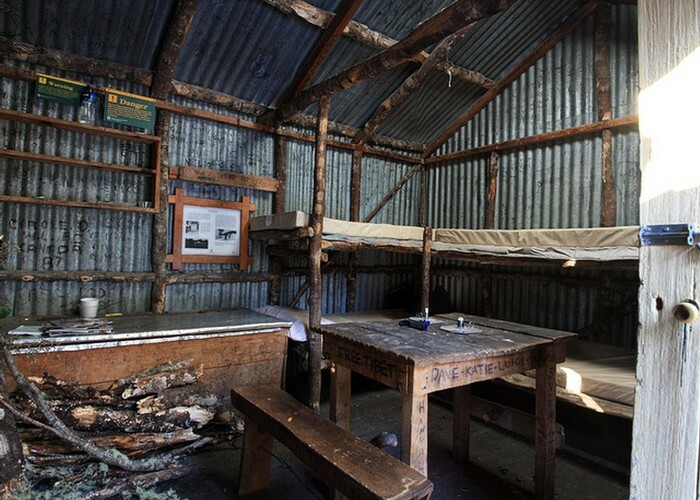 bealey spur hut interior • By Hugh vN. Licence: C.
A very wide track sets off under beech forest on a gentle rise. The forest is rather handsome and mossy. Watch for red mistletoe hanging from the trees in summer. This soon gives way to mānuka scrub and some surprising cliff-edge views down into Bruce Stream. Around this point, you cross into the national park. Breaking onto tussock with small islands of forest, the track offers panoramic views of Arthur's Pass and the Waimakariri River. The track soon crosses a boardwalked wetland before a final climb through handsome forest hanging with lichens leads to the hut. 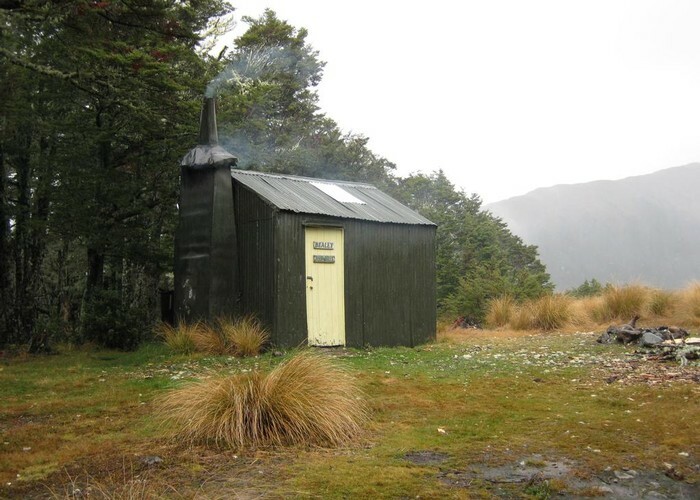 The green hut sits on the edge of a clearing with ample space for camping nearby. The hut is corrugated iron with beech pole framing. An historic musterers' hut, it was known as Top Hut and used by Cora Lynn Station. There are paddock fence and dog kennel remains around the hut. it received its first coat of paint as recently as 1997! Added 15 May 2006 by globalkiwiglobalkiwi. 4 revisions, most recently 27 March 2017 by MatthewMatthew. 965 views in the past year (80 per month).